Dr. T. Philip Kierl obtained his Bachelor of Science from the University of Notre Dame and his Doctorate of Dental Surgery with distinction from the University of Oklahoma College of Dentistry. Following dental school, Dr. Kierl completed his orthodontic residency and earned an MBA at the Roseman University of Health Sciences College of Dental Medicine in Henderson, Nevada. He regularly attends local and national orthodontic meetings to stay on the cutting edge of orthodontic technology, and is a member of several orthodontic and dental treatment study clubs. Dr. Kierl was recently recognized as a “Young Leader in Orthodontics” by the American Association of Orthodontists. 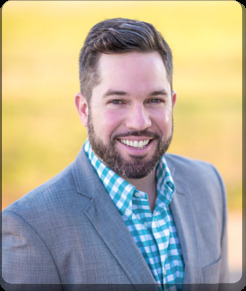 Dr. T. Philip Kierl is a native of Edmond, Oklahoma, and is excited to practice orthodontics with his uncle and wife in the town where he grew up. In his free time he enjoys working on home improvement projects and spending time his wife Heather, daughter Vivian, and his Boxer named Hosty.